Energy technology has changed rapidly over the past few years, whether at your home or at your local electric utility. Much of this innovation has been focused on adding technology that allows different parts of the network to communicate with others, and one of the most popular of these “smart” technologies is the smart thermostat. These new devices, available from companies like Honeywell, ecobee and Nest (now part of Google), promise several benefits to consumers on the comfort and efficiency of their homes. But what exactly is a smart thermostat? And can it really help you improve your energy efficiency and lower your monthly power bill while maintaining the comfort of your home? Let's take a look. Learning the temperatures that you prefer and developing a schedule that automatically adjusts to energy-saving temperatures whether you are asleep, away or at home. Providing energy usage data for your home that you can track and manage. Enabling you to control the temperature of your home remotely through your smartphone. Since heating and cooling typically account for a significant amount of home energy usage, using data to control optimal temperature adjustments throughout the course of the day can reduce your energy usage and save you money. How much money exactly? Well, let’s look at some recent studies and the claims from smart thermostat manufacturers. According to data from two independent studies of actual Nest customers, smart thermostats can, on average, save customers between 10-12 percent on heating and 15 percent on cooling. Based on typical energy costs, Nest estimates that the average customer can expect to save roughly $140 per year on energy bills. Of course, this figure can vary significantly based on the size of your home, your energy-related habits and other factors. Based on an internal analysis of its customers from 2013, ecobee claims that their customers can save up to 23 percent on heating and cooling costs, potentially netting customers $200 in savings each year. But wait, don’t these devices often cost in excess of $200?! While it’s true that many of the best-rated smart thermostats cost over $150 (and approximately $250 for the latest generation, top-of-the-line Nest and ecobee models), many consumers likely have access to immediate rebates that can reduce the costs of purchasing a smart thermostat. Since smart thermostats can reduce the strain on the grid during peak-time hours and help meet important energy efficiency mandates, many electricity providers are keen to help their customers get these devices into their homes. Ecobee even has an online tool that allows you to search for current rebate offers in your area. For example, through Georgia Power’s online marketplace, the Atlanta-based utility currently offers customers $100 off the purchase Nest or ecobee smart thermostat, bringing the cost down to $149 for either the Nest 3rd Generation Learning Thermostat or the ecobee 4 WiFi Thermostat, two of the most popular models on the market. Outside of Nest and ecobee, Georgia Power is currently offering a 50-percent instant rebate on Honeywell and Emerson smart thermostats, bring the cost of obtaining a WiFi-connected thermostat to well under $100 for select products. ComEd, an electric utility that serves about four million customers in Chicago and Northern Illinois, similarly offers a $100 rebate to customers that purchase a smart thermostat through the utility’s online marketplace. In addition, ComEd also announced earlier this year that customers could be eligible for an additional $50 rebate through their gas utility, reducing the costs for even the top-of-the-line models to under or around $100. 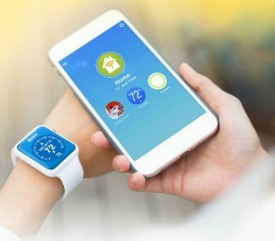 Likewise, joint customers of both Southern California Edison and SoCalGas are eligible for a combined $125 bill rebate for enrolling a new or existing smart thermostat in the Save Power Days program. This opt-in program allows the utility to notify you in advance on days when energy needs to be reduced. During Save Power Days events, your smart thermostat may adjust the temperature and pre-cool your home – but you have the flexibility to adjust the temperature setting to help you stay comfortable. When you lower your A/C usage in accordance with the program, you become eligible to save even more through bill credits. So, is a smart thermostat a sensible investment for your home? That may well depend on the amount of your monthly energy bill and the dollar amount you can expect to save each money versus the cost of the smart thermostat itself. Conveniently, Nest offers an online calculator that lets you plug-in variables like home size, location and type of heating to estimate your possible annual savings. However, the most important factor in seeing a return on investment in the near term will likely be access to an instant rebate. If you’re interested in purchasing a WiFi-connected thermostat for your home, you should visit your utility’s website or contact them for more information. Often, smart thermostat rebates are only available seasonally (whenever energy usage peaks in your area), so information may not always be publicly available. Finally, why are smart thermostats gaining traction now? Our studies show that 75 percent of the U.S. population either has a smart thermostat or wants one. People love being able to control their heating and A/C remotely, knowing they can raise the temperature of their homes as they leave for the day and can cool it before they get home. And they love knowing their smart thermostat will eventually figure out how to do that for them. People also love using technology that makes it easy to save money. Plus, many older and traditional thermostats are unsightly beige boxes with tiny sticks that move sensors and screens that are difficult to read. Smart thermostats are designed to be attractive, modern products that look beautiful on a wall with large numbers and an easy-to-read interface. Most importantly, reducing energy waste is important in today’s era of climate change. Why not make it fun?